Nellikkai (Amla in Hindi) has many medicinal values. All the parts of Nellikkai tree are used in Ayurvedic and Unani medicines. Nellikkai is a good source of vitamin C. If it is taken raw daily, it improves our immunity and slows down the ageing process. It enhances digestion and purifies blood. It is very effective for asthma too. 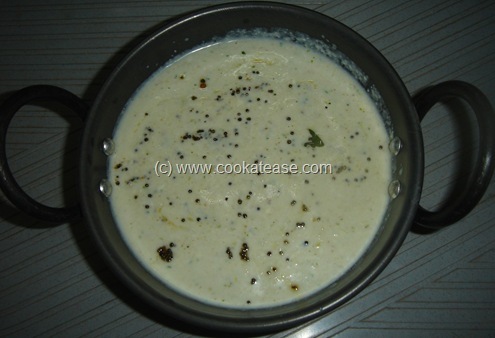 Here I have prepared a very simple Pachadi. It is pretty quick and easy. 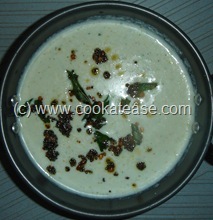 Grind together Nellikkai, coriander leaves, green chilli, grated coconut and salt in a mixer. 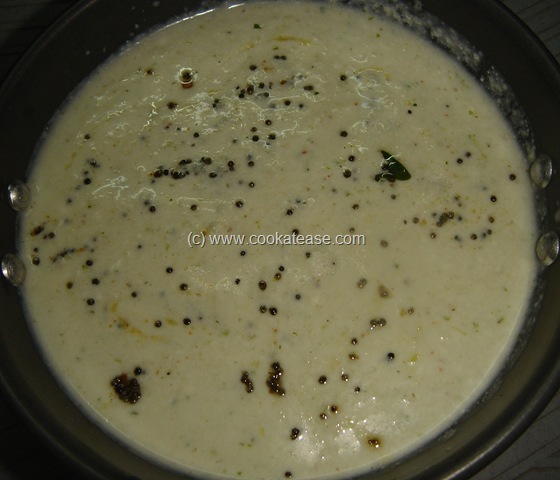 Mix this with curd and do the seasoning. 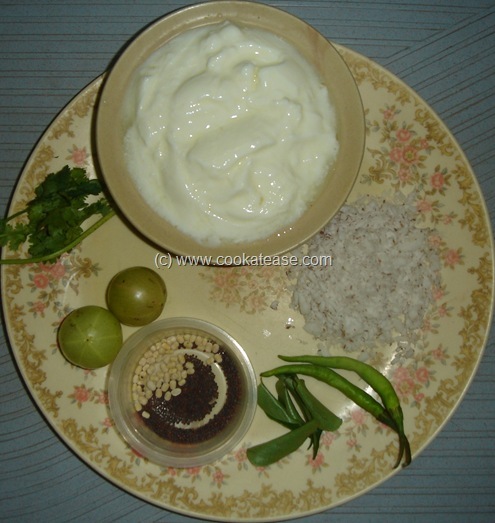 Good combination for Vathal kozhambu and Chitranna and also with Chappati. For seasoning do not keep Nellikkai and curd mix in the flame. 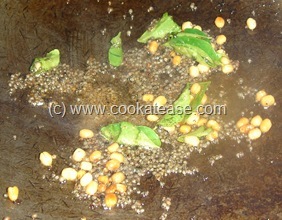 Do the seasoning in a pan separately and mix.